For forty years Western intelligence agents have known a terrible secret: the Russians have a mole - code-named Talbot - inside the CIA. At first Talbot is suspected of killing European agents. Then a street-smart ex-cop uncovers a storm of espionage and murder on the streets of New York, while in a Long Island suburb a civic demonstration against the Russian mission masks a desperate duel of nerves and wits. 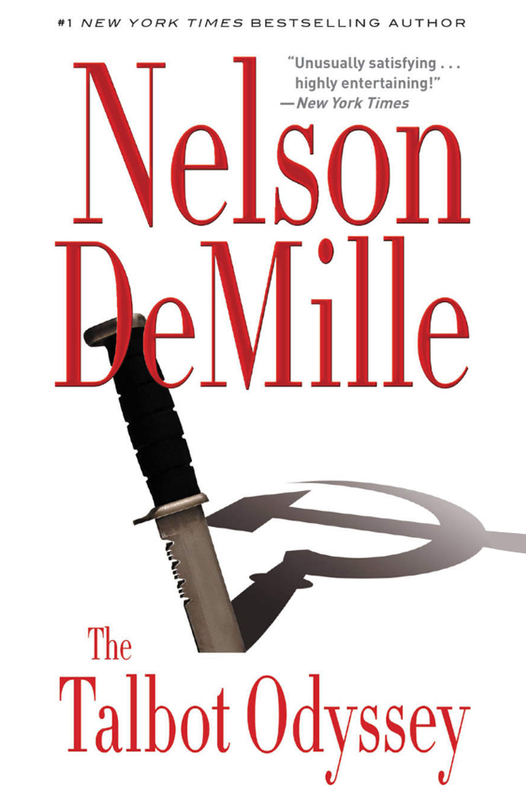 Engineered by Talbot, a shadow world of suspicion and deceit is spilling onto the streets - leading to a new Soviet weapon and a first-strike war plan threatening the foundations of American government. For the U.S., time is running out. For Talbot, the time is now. Patrick O'Brien stood on the sixty-ninth floor observation roof of the RCA Building in Rockefeller Center and looked off to the south. The skyscrapers fell away like a mountain range into the valley of the shorter buildings downtown, then climbed again into the towering cliffs of Wall Street. O'Brien spoke to the man beside him without turning. "When I was a boy, the Anarchists and Communists used to throw bombs on Wall Street. They killed a few people, mostly workers, clerks, and messengers -- people of their own class, basically. I don't believe they ever got one capitalist in a top hat, or interrupted five minutes of trading on the floor." The man beside him, Tony Abrams, whose late mother and father had been Communists, smiled wryly. "They were making a symbolic statement." "I suppose you would call it that today." O'Brien looked up at the Empire State Building three quarters of a mile in the distance. He said, "It's very quiet up here. That's the first thing anyone used to New York notices. The stillness." He looked at Abrams. "I like to come up here in the evening after work. Have you been up here before?" "No." Abrams had been with O'Brien's law firm, O'Brien, Kimberly and Rose, located on the forty-fourth floor of the RCA Building, for over a year. He looked around the nearly deserted roof. It ran in a horseshoe shape around the south, west, and north sides of the smaller top-floor structure that held the elevator. It was paved with red terra-cotta tile, and there were a few potted pine trees planted around. A scattering of tourists, mostly Oriental, stood at the gray iron railings and snapped pictures of the lighted city below. Abrams added, "And I confess I've never been to the Statue of Liberty, or the Empire State Building either." O'Brien smiled. "Ah, a real New Yorker." Both men stayed silent for some time. Abrams wondered why O'Brien had asked him to share his twilight vigil. As a process server, pursuing a law degree at night, he had not even seen the old man's office, much less had more than a dozen words at one time with him. O'Brien seemed grossed in the view out toward the upper bay. He fished around in his pocket, then said to Abrams, "Do you have a quarter?" Abrams gave him a quarter. O'Brien approached an electronic viewer mounted on a stanchion and deposited the quarter. The machine hummed. O'Brien consulted a card on the viewer. "Number ninety-seven." He swiveled the viewer so that a pointer indicated the number 97. "There it is." He stared for a full minute, then said, "That lady in the harbor still gives me the chills." He straightened up and looked at Abrams. "Are you a patriot?" Abrams thought that a personal and loaded question. He replied, "The occasion hasn't arisen to really find out." O'Brien's expression registered neither approval nor disapproval of the answer. "Here, you want a look?" The viewer made a grating noise and stopped humming. Abrams said, "I'm afraid the time has run out." O'Brien looked at the machine sharply. "That wasn't three full minutes. Send a letter to the Times, Abrams." O'Brien put his hands in his pockets. "Gets cold up here." "Perhaps we should go inside." O'Brien ignored the suggestion and said, "Do you speak Russian, Abrams?" Abrams glanced at the older man. This was not the sort of question one asked unless one already knew the answer. "Yes. My parents --"
"Right." O'Brien nodded. "I thought someone told me you spoke it. We have some Russian-speaking clients. Jewish emigrés down in Brooklyn. Near your neighborhood. I believe." Abrams nodded. "I'm rusty, but I'm sure I could communicate with them." "Good. Would it be too much of an imposition if I asked you to sharpen your Russian? I can get you State Department language tapes." Abrams glanced at him. "All right." O'Brien stared off into the west for several seconds, then said, "When you were a detective, you sometimes had duty protecting the Russian Mission to the UN on East Sixty-seventh." Abrams looked at O'Brien for a second, then said, "As a condition of my severance from the force, I signed an oath not to speak of my past duties." "Did you? Oh, yes, you were in polite intelligence, weren't you? The Red Squad." "They don't call it that anymore. That sounds too --"
"Too much like what it is. By God, we live in an age of euphemism, don't we? What did you call it in the squad room when the bosses weren't around?" "The Red Squad." He smiled. O'Brien smiled too, then went on. "Actually, you weren't protecting the Russian Mission at all, but spying on it. . . . You pretty much knew the principal characters in the Soviet delegation to the UN." "Indeed. Have you ever been out to Glen Cove?" Abrams turned and stared into the sun setting out over New Jersey. At length he answered, "I was only a city cop, Mr. O'Brien. Not James Bond. My authority ended at the city line. Glen Cove is Nassau County." "But you've been out there, certainly." "Did you keep any private notes on these people?" Abrams replied with a touch of impatience, "My job was not to watch them the way the FBI watches them. My areas of responsibility were strictly limited to observing the contacts they made with groups and individuals who might be a danger to the City of New York and its people." "The usual crew. Puerto Rican liberation groups, Black Panthers, Weather Underground. That's all I was interested in. Look, if the Soviets wanted to steal chemical formulas from a midtown research lab, or steal Ratner's recipe for cheese blintzes, I could not have cared less. That's all I can say on that subject." "But as a citizen you would care, and you'd report that to the FBI, which you did on a few occasions." Abrams looked at O'Brien in the subdued light. The man knew entirely too much. Or possibly he was speculating. O'Brien was a superb trial attorney, and this was his style. Abrams did not respond. O'Brien said, "Are you prepared for the July bar?" O'Brien smiled. "That was so long ago, I think I took the test in a log cabin." Abrams had heard that Patrick O'Brien had a disconcerting habit of shifting subjects, seemingly at random, the way a card-sharp shuffles a deck before he deals himself a straight flush. Abrams said, "Were you going to make a point about bombings on Wall Street?" O'Brien looked at him. "Oh . . . no. It's just that today is the first of May. May Day. That reminded me of the May Day celebrations I used to see down in Union Square. Have you ever been to one?" "Many. My parents used to take me. I used to go when I was on the force. A few times in uniform. The last few years undercover." O'Brien didn't speak for some time, then said, "Look out there. The financial center of America. Of the world, really. What would be the effect of a low-yield nuclear weapon on Wall Street?" "It might interrupt five minutes of trading." "I'd like a serious answer." Abrams lit a cigarette, then said, "Hundreds of thousands dead." O'Brien nodded. "The best financial minds in the nation vaporized. There would be economic ruin for millions, national chaos, and panic." "Leading to social disorder, street violence, political instability." "Why are we talking about low-yield nuclear weapons on Wall Street, Mr. O'Brien?" "Just a happy May Day thought. An extrapolation of a swarthy little black-clad Anarchist or Communist tossing one of those bowling ball-shaped bombs with a lighted fuse." O'Brien pulled out a pewter flask and poured a shot into the cap. He drank. "I have a cold." He laughed. "I'm supposed to be at George Van Dorn's place out on Long Island. If it should ever come up, I have a cold." Abrams nodded. To be an accomplice to small deceptions, especially one involving O'Brien's partner, George Van Dorn, he knew, could lead to bigger deceptions. O'Brien poured another shot and passed it to Abrams. "Cognac. Decent stuff." Abrams drank it and passed back the cap. O'Brien had another, then put it away. He seemed lost in thought, then said, "Information. This is a civilization which rests almost entirely on information -- its manufacture, storage, retrieval, and dissemination. We have gotten ourselves to a point in our development where we could not function as a society without those billions of bits of information. Think of all the stock and bond transactions, the commodities exchange, metals exchange, checking- and savings-account balances, credit card transactions, international transfers of funds, corporate records. . . . Much of that is handled down there." He nodded off into the distance. "Imagine millions of people trying to prove what they lost. We would be reduced to a nation of paupers." Abrams said, "Are we talking about low-yield nuclear weapons on Wall Street again?" "Perhaps." O'Brien walked along the roof and stopped at the railing at the eastern end of the observation deck. He looked down at the Rockefeller Center complex. "Incredible place. Did you know that there are over four acres of rooftop gardens on these buildings?" Abrams came up beside him. "I don't think I knew that." "Well, it's a fact. And that will cost you another quarter." O'Brien took the quarter from Abrams and deposited it in another electronic viewer. He bent over and peered through the lenses, swiveled the viewer, and adjusted the focus. O'Brien said, "Glen Cove is about twenty-five miles and a world away from here. I'm trying to see if I can pick out Van Dorn's pyrotechnics." "Pyrotechnics?" "It's a long story, Abrams. But in a nutshell, Van Dorn, who lives next door to the Russians, allegedly harasses them. You may have read about it." O'Brien swiveled and focused again. "They are going to sue him, in Nassau County Court. They've been obliged to retain local attorneys, of course. Have a look." "No, Mr. Abrams, Glen Cove." Abrams bent his tall frame over the viewer and adjusted the focus. The Hempstead Plains rose toward the Island's hilly North Shore, an area of wealth, privilege, and privacy. Although he could see very little detail at this distance, he knew, as O'Brien suggested, that he was looking at another world. "I don't see the rocket's red glare," he commented. "Nor the bombs bursting in air, I'm sure. Neither can you see that our flag is still there--above Van Dorn's fort. But I assure you it is." Abrams stood straight and glanced at his watch. O'Brien said, "Well, even Dracula needed a good lawyer. Poor Jonathan Harker. He learned that after you are invited into a sinister castle, you sometimes have difficulty getting out." Abrams knew he should have been thrilled at the opportunity to stand on this roof with the boss, but he was becoming a bit impatient with O'Brien's musings. He said, "I'm not sure I'm following you." O'Brien smiled. "There are very few employees in the firm who would admit that to me. They usually smile and nod until I get to the point." Abrams leaned back against the railed enclosure. A few tourists were still walking around. The sky was pink and the view was pleasant. O'Brien went back to his scanning, then the viewer went black. "Damn it. Do you have another quarter, Abrams?" O'Brien began walking back the way they'd come, and Abrams walked beside him. O'Brien said, "Well, the point is that I may fire you, at the end of the month. You will be hired by Edwards and Styler, who are attorneys in Nassau County. Garden City. They're representing the Russians in their suit against Van Dorn." "That sounds rather unethical, since I'm working for you and Mr. Van Dorn now. Don't you think so?" "Eventually the Russians will abide by Edwards and Styler's request to visit the estate on a day they are being harassed by Van Dorn. They didn't grant Huntington Styler's request to visit today, but probably will the next time Van Dorn plans to have a party. Probably Memorial Day. You'll accompany the Edwards and Styler attorneys, then report back to me on the substance of what was discussed." "Look, if George Van Dorn is in fact harassing the Russians, then he deserves to be sued, and to lose. In the meantime, the Russians should get an injunction against him to cease and desist." "They're working on that through Edwards and Styler. But Judge Barshian, a friend of mine, incidentally, is having difficulty making up his mind. There is a fine line between harassment and Mr. Van Dorn's constitutional and God-given right to throw a party now and then." "I'm sorry, but from what I've read, Mr. Van Dorn appears to me as though he's not a good neighbor. He's acting out of pettiness, spite, or some misdirected patriotism." O'Brien smiled slightly. "Well, that's the way it's supposed to appear, Abrams. But there's more to it than a civil case." Abrams stopped walking and looked out over the north end of Manhattan toward Central Park. Of course there was more to it than a civil case. The questions about his speaking Russian, his patriotism, his days on the Red Squad, and all the other seemingly disjointed and irrelevant conversation were not irrelevant at all. It was how O'Brien played cards. "Well," he said, "what am I supposed to do once I'm in their house?" "Pretty much what Jonathan Harker did in Dracula's castle. Get nosy." "Worse. He lost his immortal soul. But since you're going to be a lawyer, like Mr. Harker, that may be a distinct advantage in your career." Abrams smiled in spite of himself. "What else can you tell me about this?" "At the time, nothing further. It may be a while before I discuss it with you again. You will discuss it with no one. If we proceed, you will report directly to me and no one else, regardless of what claims anyone may make that they are acting on my behalf. Understood?" "Fine. In the meantime, I'll get you those language tapes. If nothing comes of this, at least you will have sharpened your Russian." "For your Jewish emigré clients?" "I have no such clients." Abrams nodded, then said, "I do have to study for the bar." O'Brien's tone was unexpectedly sharp. "Mr. Abrams, there may not be any bar exam in July." Abrams stared at O'Brien in the subdued light. The man seemed serious, but Abrams knew there was no point in asking for a clarification of that startling statement. Abrams said, "In that case, perhaps I should study Russian. I may need it." O'Brien smiled grimly. "It could very well come in handy by August. Good night, Mr. Abrams." He turned and walked toward the elevators. Abrams watched him for a second, then said, "Good night, Mr. O'Brien."